Suraksan (or Surak Mountain) is a beautiful and scenic cluster of the mountain with other magnificent peaks. 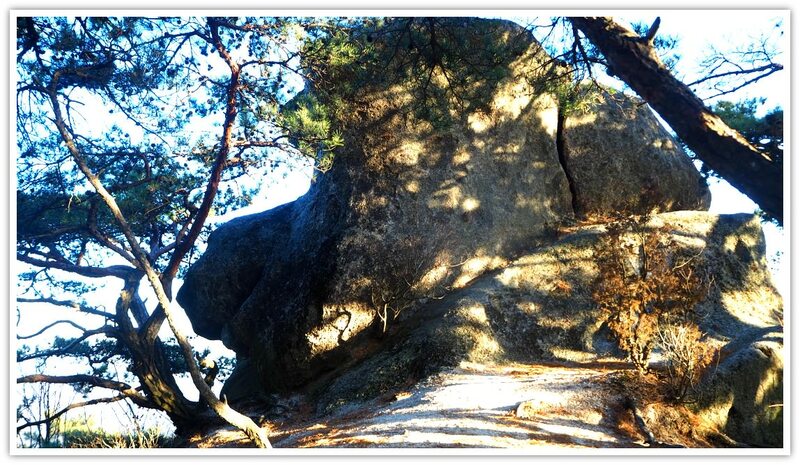 It has excellent views of the surroundings and good for hiking. It is my first time to hike this mountain and I love it. 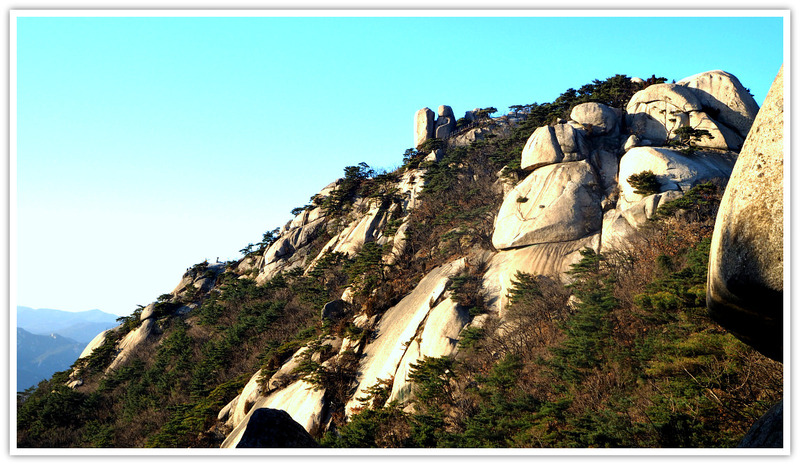 Suraksan (can also be called Suraksan Mountain) is located near Seoul. 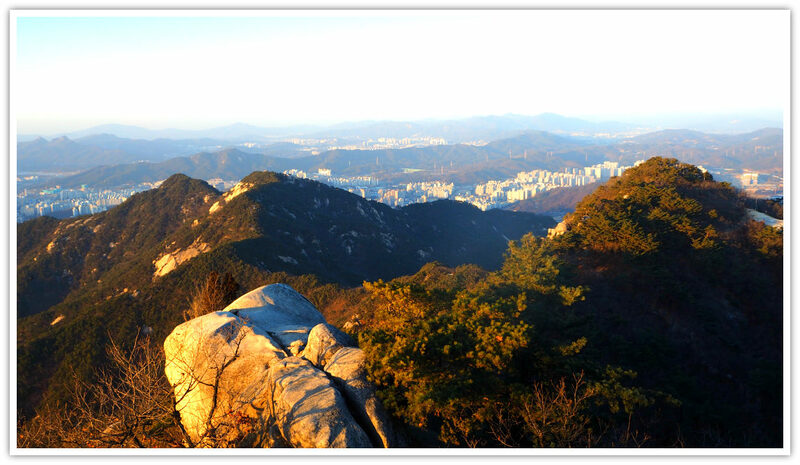 It is on the border of Eunjeongbu-si (city), Byeolnae-myeon, Namyangju-si, and Seoul (the capital). You can quickly get near the mountain by taking a subway (more on this below). Due to its proximity to these populated areas, the locals make use of this treasure for relaxation, health, friendship, and beauty. Yes, hiking this mountain could include those four items. People in Korea (including foreigners) go to the mountain (and other mountains in South Korea) to release their stresses from the daily grind of work. Therefore, it can give you—bringing you to the second item—better health in both mind and body (and spirit—I insist!). I can assure you that it really helps you get much better health—that’s my personal confession! And that’s also why most Koreans are slim and fit! Yes, it is good to hike and explore Surak Mountain with friends. It is more fun and less tedious. (I more of a solo hiker because I’m very serious about hiking!). For that reason, it is great to keep your friends through hiking. Besides, you have chances of making friends with other hikers. Yes, especially for ladies who want to tone down their figures. Depending on your choice of trails, you can lose a significant amount of calories. I tell ya! I guess anybody who is willing to hike it can make it! But if you are thinking of bringing your young children, I should say from age 12 and up. Of course, you can bring the much younger one up to the less steep areas, and not up to the summit or the top of the enormous rocks. That’s because small children could not climb huge rocks or use the ropes to cross some areas to get to the other side. So, any adult can make it. And beginners can also do it. But I would suggest beginners should pick the less challenging courses for safety reasons. 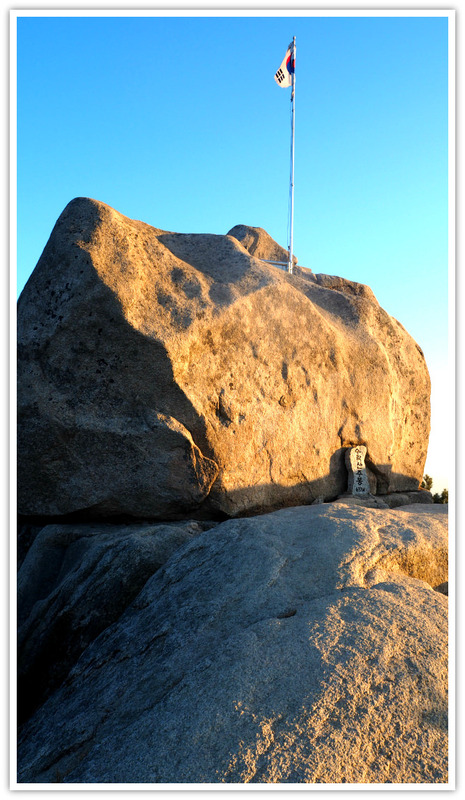 What is great about Suraksan Mountain is that it is readily accessible by public transports. As mentioned above, you can take a subway and get off at wherever you want to start your fun mountain adventure and exploration. From the top—summit, peaks, and other higher points on the mountain—you have panoramic views of the nearby cities and provinces surrounding the mountain. It is refreshing, serene, and more better feelings! Yes, the temples are some of the attractions and reasons why some (or many?) hikers explore Suraksan. I am one of them. Personally, temples are not only attractive but also spiritually refreshing to me. 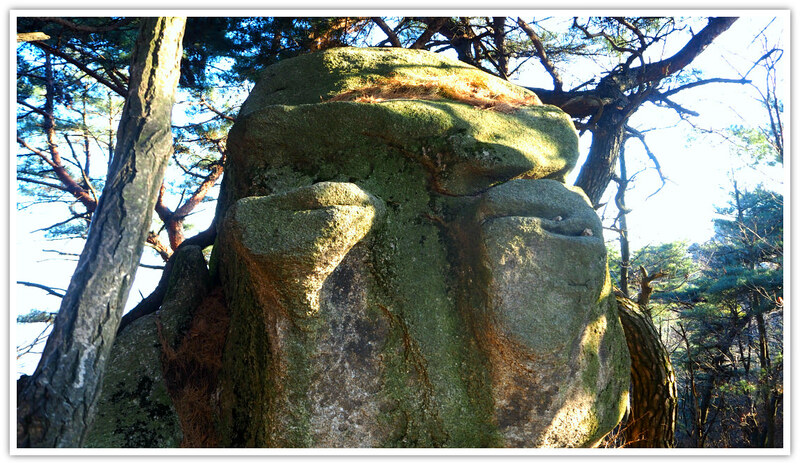 If you start your hike from Danggogae Station’s exit area, you should not miss the two temples nearby. You cannot miss one of them, anyway, because you ‘have’ to pass by it—Hakrimsa Temple (pronounced as ‘Hangnimsa’). The other one is Yongguram. Hangnimsa Temple is bigger than Yongguram. Hangnimsa has more temples and facilities for Buddhism believers. Yes, hikers are also allowed, but you need to observe proper etiquettes when within the temple area, and certainly when entering and inside a temple. 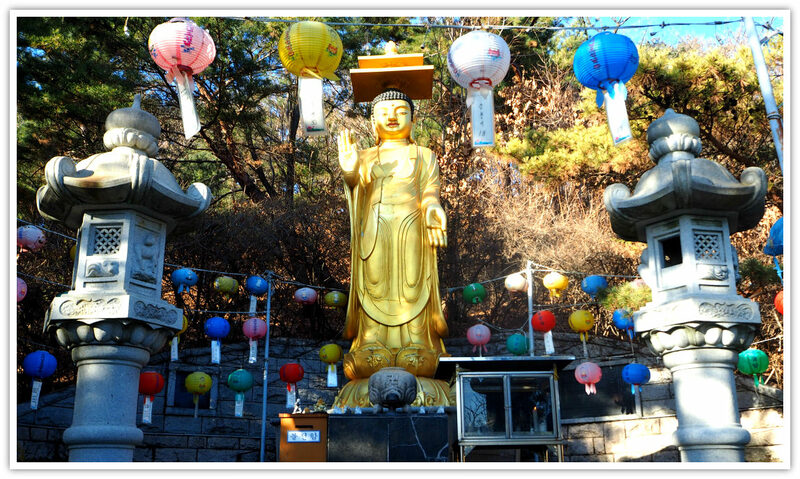 Aside from the two temples above, you can also visit other temples where were established centuries ago or since Buddhism was first introduced to Korea. 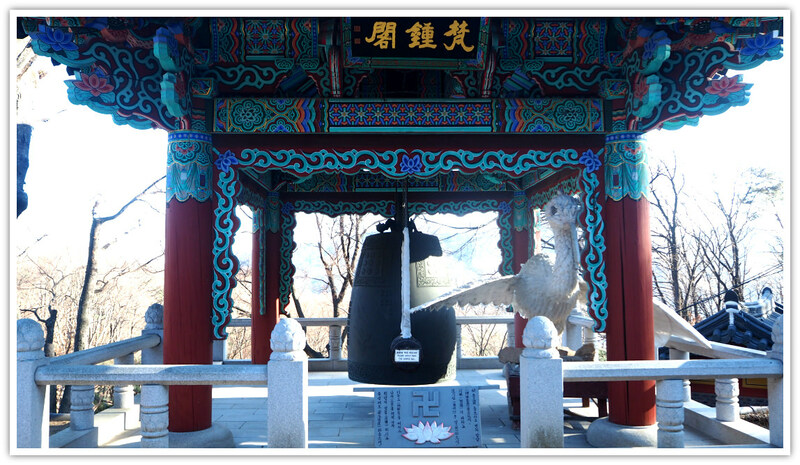 For example, you can visit Heungguksa Temple (build during the Silla Kingdom period), Seongnimsa Temple (built during the Joseon Dynasty Period), the famous Gwesanjeong Pavillion. 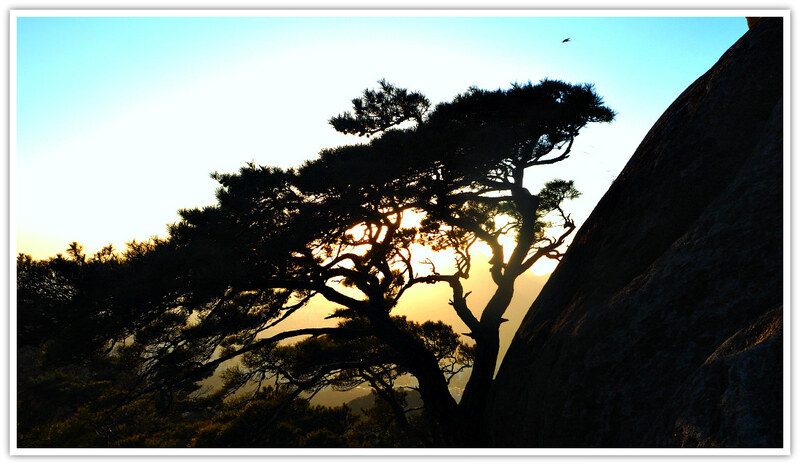 During the spring season, you will be amazed by the sights of gorgeous Royal Azalea blossoms that blanket the ridge between Suraksan Mountain and Buramsan Mountain. The Korean government and local authorities are making it easier for hikers to explore the mountains anywhere in the country. For locals, installing the steps (usually stones), railings, bridges, ladders, among others is great. However, for some (especially foreigners—one of my foreign friends anyway!) commented that it is distracting to the natural sight and beauty of a mountain. I am neutral on this because these facilities make my hike easier (yeheyyy!). But at the same time…she is right! In Suraksan, some gargantuan rocks and some places, have ropes and metal railings to help you cross over to the other side. Of course, this is more fun for the serious and experienced mountain hikers or climbers. Indeed, one can evade those challenging points by tracking the safer trails beside or around those huge rocks. There are specific sites where you may camp. Not all places within the mountain are allowed for camping especially those difficult and unsafe areas. You have to spot such emergency points—exactly because you might need it for yourself or other mountaineers. Notice the poles or posts with red-colored labels and numbers, including 119. In case of emergency, stay close to such points and make your emergency call and stay there until help comes. The following routes or trails are accessible and allowed by authorities for the public to trek. It was a very satisfying experience, and I promised to myself that I would hike again and discover more beauties waiting to be explored. I should visit during different seasons to find out how the mountain changes its beauty each season. I recommend that you hike Surak Mountain due to the following reasons: accessibility, less crowd, unique beauty, and easy to hike for beginners. You have various choices when approaching the mountain. You can take Subway Line 4 (Blue Line) and get off at any of the stops along this line. As I suggested, you can start from the exit of Danggogae Station (exit 4) and simply follow the Hangnimsa direction (placard). You could start hiking from this station and continue to reach Suraksan Mountain’s summit. Then proceed towards Danggogae Station as your exit for home. Jangam Station is also an easy route to the summit. From here you will pass by a historical temple--Seongnimsa. This station was my exit not my intention as I missed the signpost for Suraksan Station which was my planned exit target. Whew! Anyhow, whichever you will be starting and ending, you will undoubtedly enjoy the famous Surak Mountain for a myriad of reasons I tried to present above. Thanks for reading this. Hope you have safe travels too!